My real journey of discovery into great film music began in the mid 1990s, around the same time the internet started taking off. With most of the great composers I was exploring (Barry, Bernstein, Goldsmith, Morricone, Williams) it was not difficult to find kindred spirits online, espousing their virtues and providing invaluable tips on what to seek out and where. For one of them, it was surprisingly difficult. 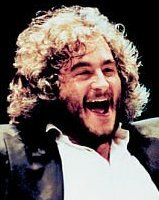 It was when I watched Mr Holland’s Opus that I sat up and first really took note of Michael Kamen – his heartfelt, beautiful, soaring score was right up my street – and I soon started finding as much as I could. For some reason, with Kamen it always felt like I was swimming a bit against the tide – I struggled to find many others who were as passionate about his music as I was. I still feel now as I did then – he was a great composer, a great film composer, and he built up a rich and rewarding body of work over a life and career that was tragically cut short. He really made his name on action films, but it was elsewhere that the real riches were to be found – the passion and zest for life so evident from every note of his more personal (and frequently less well-known) works. This compilation album released by Quartet is a recording of a 2016 tribute concert held as part of the Malaga Film Music Festival (MOSMA), with the Malaga Philharmonic conducted by Pablo Urbina. It covers a fair chunk of his better-known scores, mostly in concert arrangements. The disc actually begins with the “MOSMA Fanfare”, credited as being composed by Arturo Díez Boscovich but it’s actually a combination of Jerry Goldsmith’s “Fireworks” (and not, as widely reported, “Soarin'”) and John Williams’s “Parade of the Slave Children” – not sure why, but it’s good fun. The Kamen selections then get going with the wonderful “There Can Be Only One” from Highlander, a rousing and heroic piece from a score which remains bizarrely barely-released on CD. “Doña Ana” which follows, from Don Juan Demarco, is a ravishing, romantic gem of a piece – it’s one of the composer’s finest works and this passionate love theme is fantastic. I said before that the composer was best-known for his action scores and a freshly-arranged “action suite” starts and ends with music from his underrated Licence to Kill (including his terrific arrangement of the Bond theme), with music from Die Hard (oddly – not action music! ), Lethal Weapon 2 (the stunning “Mulholland Chase”) and, less predictably, From the Earth to the Moon (I’m not quite sure the brilliant main theme quite belongs in this suite, but it’s great to hear it anyway – and I’m scratching my head as to how there can never have been a score release from the miniseries, which featured music not just by Kamen but by several other top composers too). The orchestra does admirably on that suite, which at times is fiendishly difficult – but unfortunately a few problems start developing from that point forward. Next up comes “An American Symphony” from Mr Holland’s Opus (the original soundtrack album arrangement, slightly disappointingly, rather than the extended one the composer later recorded with Leonard Slatkin on his “The New Moon in the Old Moon’s Arms” symphony album) – it’s a great piece, rousing and in its final minutes when the drum kit and electric guitar come in, perfectly sums up the composer’s dual career in the rock/pop and symphonic worlds – or at least, it should be, but the performance here – with the exception of the beautiful “Rowena” segment – is rather limp at the best of times and hopelessly lost at the worst (just compare the final bars with the same on the Slatkin recording – unfortunately “there can be only one” is a phrase that could also be used here). 20-odd years ago I wrote a piece for Film Score Monthly singing Kamen’s praises, and my love of two scores in particular got a load of negative feedback from people – those scores being 101 Dalmatians and Jack. I maintain that the former in particular is one of the great comedy scores of its era, bursting with themes, energy and life (there must be somebody out there who loves it as much as I do). Those two scores are brought together here in a “Comedy Suite” – the rousing opening titles from the former and both the witty opening and sentimental finale from the latter (the more unusual instruments from the original eschewed here, understandably enough). A few performance issues again, sadly, but it’s still deliriously entertaining. I imagine that for many people the lengthy suite from The Adventures of Baron Munchausen will be a highlight, not least because the original score is now so fiendishly difficult to find. It is indeed a very nice suite – though I have to say it’s a shame that the harpsichord which was such a distinctive part of the character of the original recording isn’t present, and it’s harder to understand its absence than the fleet of kazoos from Jack. The piece is full of bouncy heroism and occasional silliness, along with some moments of darker drama, exciting action and even some dashing romance, which come together to provide a nice balance. The long suite from Robin Hood: Prince of Thieves highlights perhaps the most popular Kamen score among film music enthusiasts. It starts with the rousing main theme of course (with that rhythmic pattern that he inserted as an in-joke into virtually every score he ever wrote – his version of James Horner’s four-note motif, if you like) before an extended set of variations on Maid Marian’s theme and then the rousing finale (with an attempt to make it even more rousing in the last few bars, but it doesn’t quite have the class of the original ending). There are some more performance flubs to report here – the trumpets in particular seem to completely lose track of what they should be doing at times – on the other hand, there’s a lilting beauty to the winds in the more romantic sections. ﻿﻿﻿﻿﻿﻿ “Nuclear Train” from Edge of Darkness is classic Kamen, a dynamic piece of drama – while the uncredited guitarist who plays here isn’t exactly Eric Clapton, who played the original (I guess nobody is) he does an admirable job. The disc ends with the theme from Band of Brothers, beautiful even without the choir. There’s 75 minutes of uniformly great music here, sadly on occasion not getting the performance to match despite the best intentions – Kamen fans will certainly want to have this and it might offer an opportunity for others to become acquainted with some of his music and give them a springboard from which they can explore the many joys on offer from a brilliantly gifted composer – and a warm and generous man – who just kept getting better and better until he was so sadly taken from us. other composers with similar resumes. No Iron Giant? For shame. Indeed, though as I watched the film all the time as a kid I’m biased anyway. I agree, IRON GIANT would have been great. Also agree with John Southall on the performance. It’s okay but far from fantastic. Imagine this being played by the LSO. Yes, missed the harpsichord as well. At least it could have been emulated with a synth.